“I say, segregation now, segregation tomorrow and segregation forever,” Alabama Governor George Wallace infamously proclaimed in 1963 during his inauguration address, making clear he would thwart any effort to integrate schools. 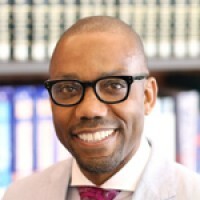 It had been nine years since Brown v. Board of Education, the historic Supreme Court decision establishing that it was unconstitutional to segregate public school children. It’s 2018 now, yet we’re still dealing with court desegregation orders from the ’50s and ’60s; with charter school advocates who proudly accept that they’re more segregated than their traditional school peers; and with a judicial nominee who wouldn’t say if she agreed with 1954 Brown decision. During a Senate hearing for a federal judgeship this month, Richard Blumenthal, the Democratic senator from Connecticut, pressed President Trump’s judicial nominee Wendy Vitter on whether she believed “Brown v. Board of Education was correctly decided?” One might expect a would-be federal judge to say that ending segregation was a good thing, without opening the door to commenting on other controversial cases. Alas, it seems one should tone down one’s expectations. Vitter found it difficult to provide the right response to the Brown v. Board question because many among us still believe in segregation, and saying otherwise would challenge our life decisions, such as where we live and where we send our children to school. A map of private and charter schools — schools that are ostensibly all about parental choice — reveals more than our beliefs about school quality; it also uncovers how deep our investments in segregation really are. 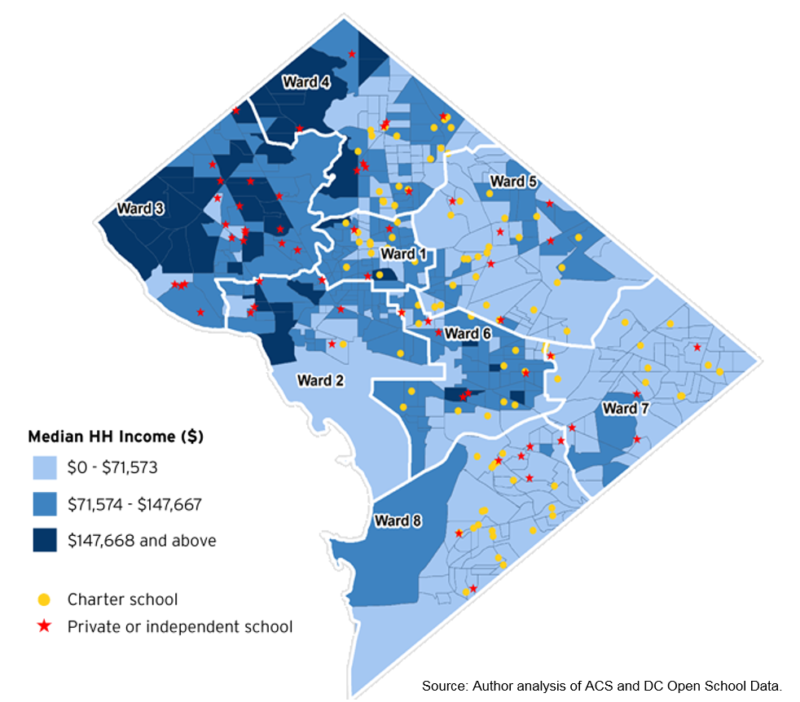 In Washington, D.C., for instance, private schools proliferate in the white, wealthier areas of the city and majority-black charter schools are situated in the black, poorer neighborhoods (see figures 1 and 2). 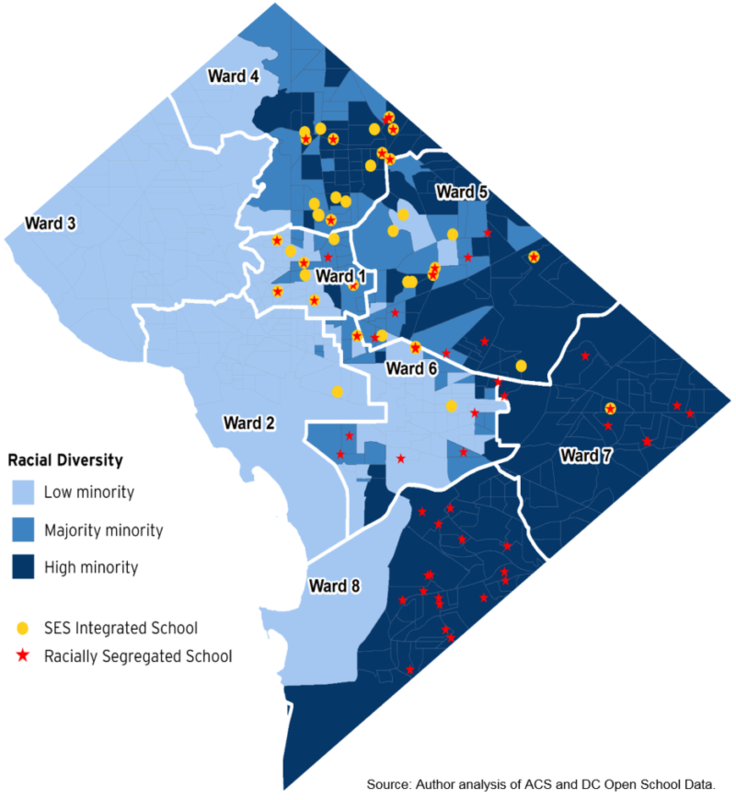 The longevity of segregation is manifested in the permanency of brick-and-mortar schools. Sure, people will argue that schools should be placed where the market dictates. Private schools go to rich, white areas and charter schools are placed in low-income and/or black communities. But you can’t have quality without diversity, and diversity is throttled under segregation, a root cause of inequality. (This is clearly the case with residential segregation, which spurred inequitable school financing systems that rely heavily on property taxes, handicapping poor neighborhoods.) Consequently, pursuing educational quality and ending inequality in the way schools receive funding demands that we go beyond market approaches to school placement. In addition, those who believe in market-based school placement understate how segregated schools themselves drive a demand for exclusivity. School advocates strongly sway educational markets by signifying how we should view quality. For instance, to entice prospective parents, school voucher advocates often employ rhetoric about students being “trapped in public schools” without giving tangible evidence that the private schools the voucher gives them access to are any better. These marketing ploys play on the minds of people who wrongly equate exclusivity with quality and public with inferiority. To be clear, because a school is monolithically white or wealthy doesn’t mean it has a better curriculum or superior teachers. 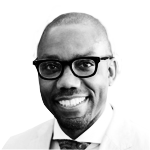 Advocates of diverse schools, on the other hand, can excite and catalyze parents to pursue integrated learning environments with a new narrative on quality. Researchers have not done a great job identifying the benefits of diversity, partly because the number of diverse public schools is dwindling. According to a 2016 analysis by the UCLA Civil Rights Project, the number of public schools with zero to 10 percent white enrollment has more than tripled six decades after Brown. Nevertheless, a robust case for integration is wanting. It seems obvious that diversity would make everyone smarter and white people less racist, but there’s not enough research to make a full-throated, empirically-driven argument for integration. There seems to be a little hope for integration — at least socioeconomic integration. This clustering suggests that we may not be able to create integrated schools everywhere, but we can in some places. And we should. Because charter schools in many states and districts aren’t bound to a particular geographic area, they have more leeway than traditional public schools in deciding where they can locate. Instead of charter schools competing for the same students like they currently do, we should be using charter laws strategically to break down segregation by default. Given our sordid history around race, making the case for integration shouldn’t be this hard. However, the built environment, a vestige of our segregated past, helps perpetuate this cultural legacy we should be working to disrupt. Rejecting segregation also implies a commitment to change the physical locations of our schools, and charter school leaders could lead the way.